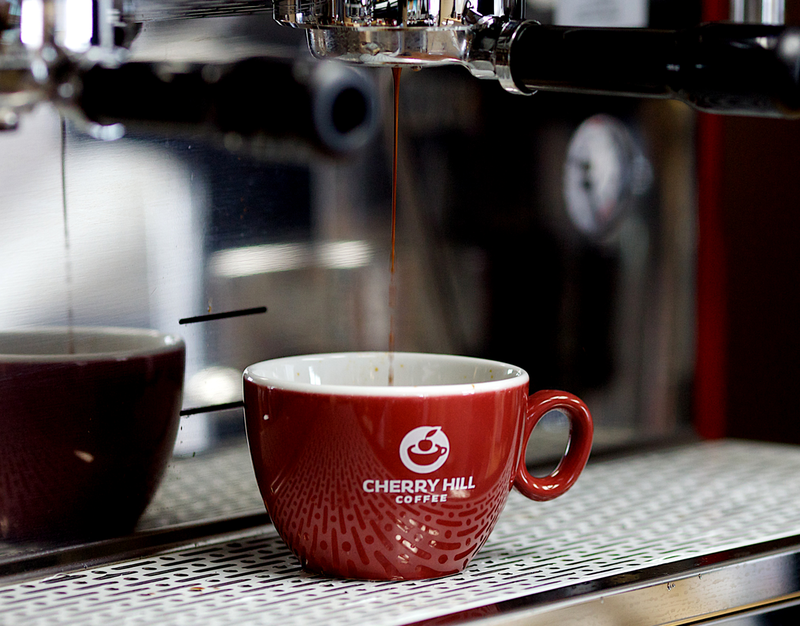 In need of a refresh, Cherry Hill Coffee wanted to transform it’s brand from that of a small roaster into the multi-million dollar company it is today. This involved creating a premium brand for Cherry Hill, and all the sub-brands of coffee they roast. What resulted was a visually stunning example of how a brand can be re-made. Brandnetic Studios not only created the brand visuals, logos, packaging and merchandise, but launched marketing campaigns for new products. The first year of the rebrand, the product demand increased to the point where production was boosted by 20%. Not only was more product produced, but it was consumed via more channels than ever before. With a production increase from 155k pounds to 184k pounds in the first year, that meant that more than a million additional cups of cofee were consumed by Cherry Hill Clients and Cafes. That’s a lot of java! The re-brand and marketing efforts lead to an increase in sales of 16% in the first year (and 15% the year after) as the brand became more recognizable and trusted among coffee drinkers, cafes, and wholesale distributors. The re-brand touched every part of their business from redoing the main logo and sub-logos, to creating new packaging and merchandise that fit the brand guidelines. Brandnetic was able to encapsulate Cherry Hill Coffee and communicate that to consumers in a way they relate to everyday. One of the major goals was to allow coffee drinkers to easily identify the flavour coffee they liked, and make it easy to identify that flavour in the future. This was accomplished by creating unique and distinct brands for each flavour. Not only by shape, but by colour as required. This information was placed on packaging, menu boards and other in-store POS materials. In 2017 online efforts were focused on a new eCommerce platform. Brandnetic developed an online store powered by Shopify. Taking their branding to a new level and incorporating custom CSS animations with stunning photography, the new website is a breath of fresh air in a crowded and competitive online coffee market. 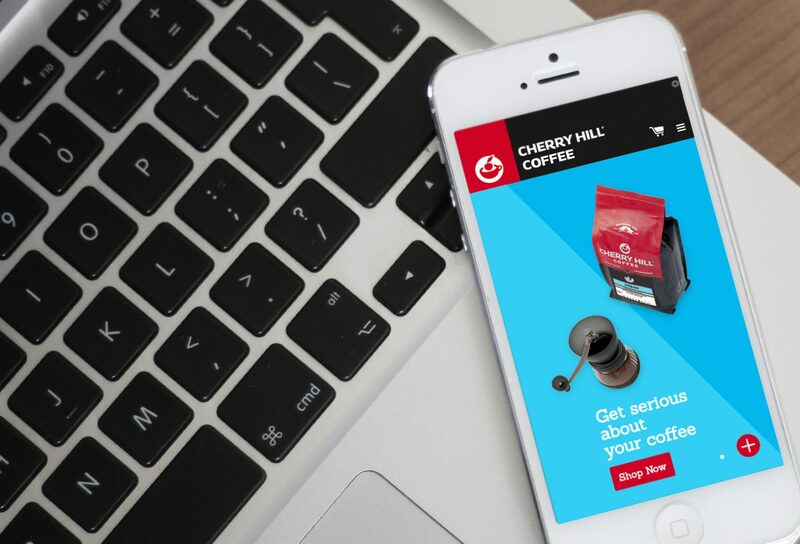 Along with a newer, faster, responsive framework, the new website integrated a rewards system for customers; an invaluable way for Cherry Hill Coffee to engage their customers and reciprocate their loyalty. Ship Station was added to the back end to make packing and mailing orders a cinch. Customers and staff alike loved the friendly and approachable layout and ease of navigation. Significant sales growth wouldn’t be possible without two major components: a brand you can relate to, and the marketing effort to make consumers aware that you exist. Of course, having a solid product doesn’t hurt either. The marketing campaigns for Cherry Hill Coffee focused on awareness. This was achieved through in-store POS materials, print adverts, online promotions and wholesale customer marketing materials. A consistent brand experience has allowed customers to easily identify quality and have confidence in each subsequent purchase.